An excellent day in the field. 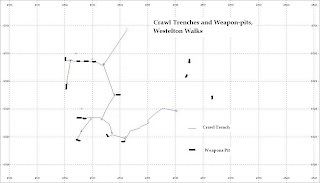 Went back to map the system of crawl trenches and weapon-pits I found a couple of weeks ago. 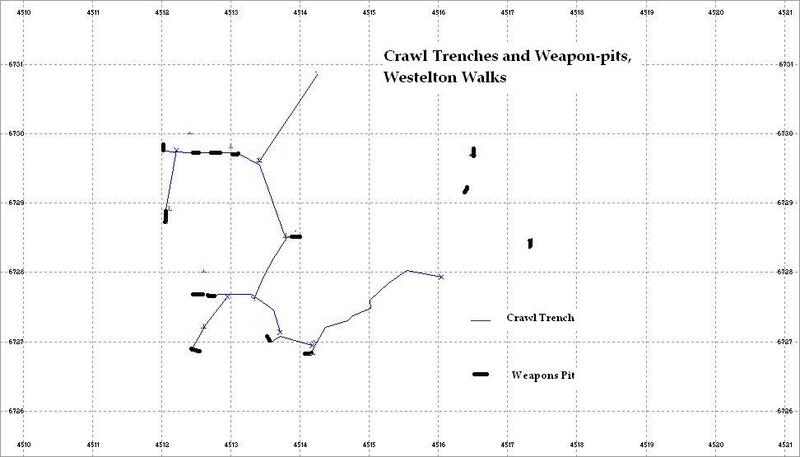 Also had a good look around another area I have not visited before and found two more crawl trench and weapon-pits localities, as well as several other earth works included crescent shaped weapon-pits. Also of note was a brick lined pit - I am not sure as yet if it is a weapon-pit or dugout. It had two recesses in the brick lined walls plus a 50" earth parapet. No sign of any roof material to indicate a dug-out, but that could have been removed long ago. As with other areas on Westleton Walks, these localities do not tie in with any platoon localities given in Home Forces war Diaries so the possibility of training/dummy positions cannot be ruled out.